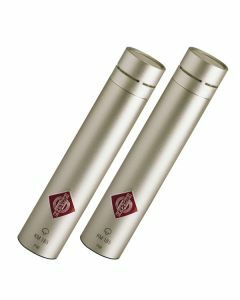 The KM 185 hypercardioid microphone is based on the tremendously successful KM 184 cardioid microphone, which has become a standard within the global studio community in just a very short time. All "Series 180" microphones are available with either matte black or nickel finish. The pressure gradient transducers KM 185 feature very smooth frequency responses not only for the 0° axis, but also for lateral (off-axis) sound incidence. In typical usage, there is no coloration of sound over a wide pickup angle.